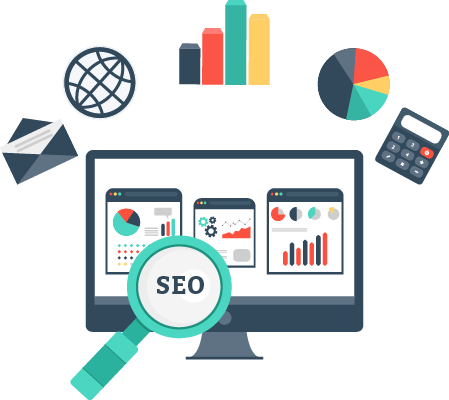 We're a complete digital marketing company that offers affordable SEO, E-MAIL MARKETING, SEM, SOCIAL NETWORKING, SOCIAL MEDIA MARKETING and Web Development services for smaller businesses. Search Engine Optimization - is the business of optimizing your site to improve its positioning in the search engine listings for users. When people use the phrase SEO they are usually mentioning to the free outcomes, and not subsidized outcomes, listing, etc., which drop under the wider titles of Search Marketing or Web Promotion. Fastest way to highlight to customers. Say words in Video, Info graphics and share. Optimize services suitable target market. Write unique which customers needs. More organic traffic with increased conversion rate. Cost-effective solutions for web marketing. Subscription services for Email Newsletter. TALK ABOUT THE FUTURE - In simple terms social media marketing is the process of marketing your products through social media sites like Twitter, Facebook and YouTube. By utilizing the social aspect of the web, social media marketing is able to connect and interact on a much more personalized and dynamic level than through traditional marketing. It has the added advantage of reaching to a larger mass without much cost and effort. PPC is the parole of online marketing today and in future this trend will be strengthened further. Analysis shows that PPC sort of advertisings will increase by simply 37% annually. Benefits of PPC = Custom Budgeting + Geo Location + 24/7 Advertising + Immediate Results + Precision Targeting + Brand Awareness + Trackability. Genuine SEO techniques that perfectly unite with your marketing plan; seeking your thoughts, we build our SEO techniques. Equipped with Lots of SEO, SEM Tools to embellish your web page and its Position over SERP to enhance your online traffic. Strategic developing of SEO content to string in human visitors as well as improve online search engine crawling. Top priority given to importance of objectives & accordingly casting our SEO services to suit the needs.